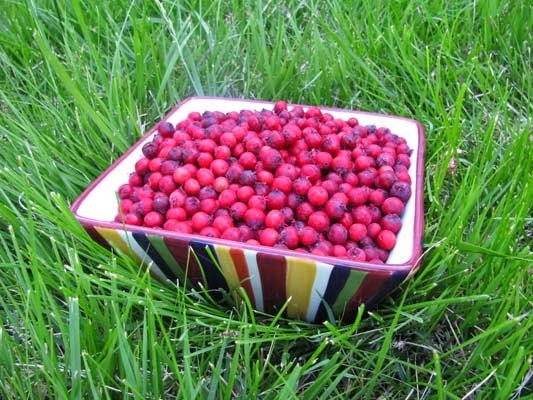 It's time to pick June Berries again. I'm always searching for recipes, and ideas on how to use them. Really any recipe that has Blueberries, June Berries can be used as a replacement. I just tried a new recipe. This recipe I did actually make with Blueberries, but next time I plan on replacing the Blueberries with June Berries. 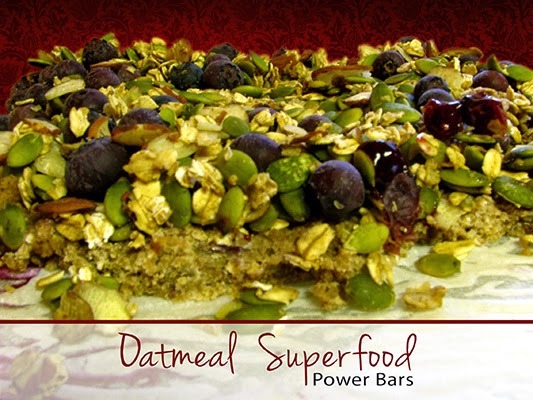 The boys love Oatmeal Superfood Power Bars. Even Daddy loves them. He's the pickiest one out of all of us. This morning breakfast consisted of: Oatmeal Superfood Power Bars, steamed Collard Greens, and a smoothie with mixed fruit, kale and water. Those sound awesome and perfect to grab on the go! I haven't ever tried June Berries. Do they taste similar to blueberries? These would be the perfect morning breakfast. I am always rushing out the door without eating, and then I am sluggish until lunch. I need to make some of these! Another great recipe that I want to try. Right now we are moving my Hubs parents into an assisted living place and then heading to Atlantic City for a week.